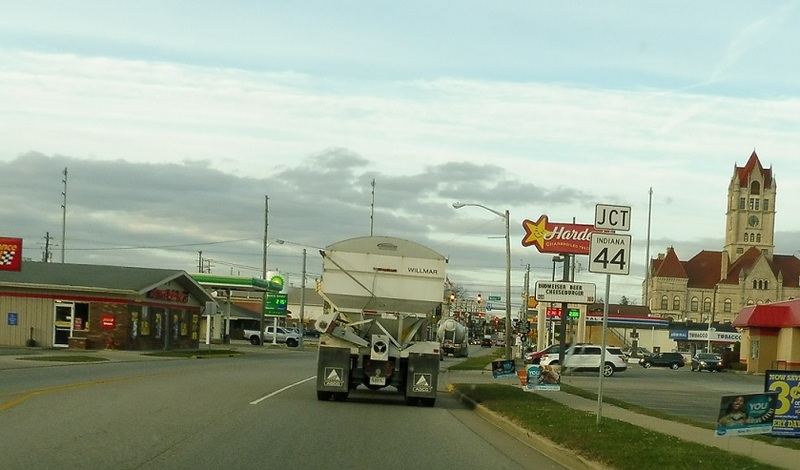 Overhead reassurance shield as we head into downtown Rushville. 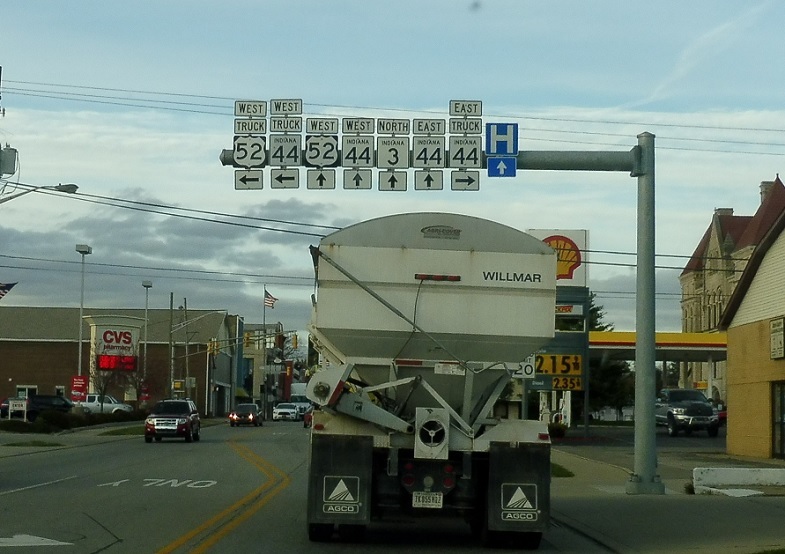 In a few blocks, we’ll approach Indiana 44, but not before we hit its truck route. 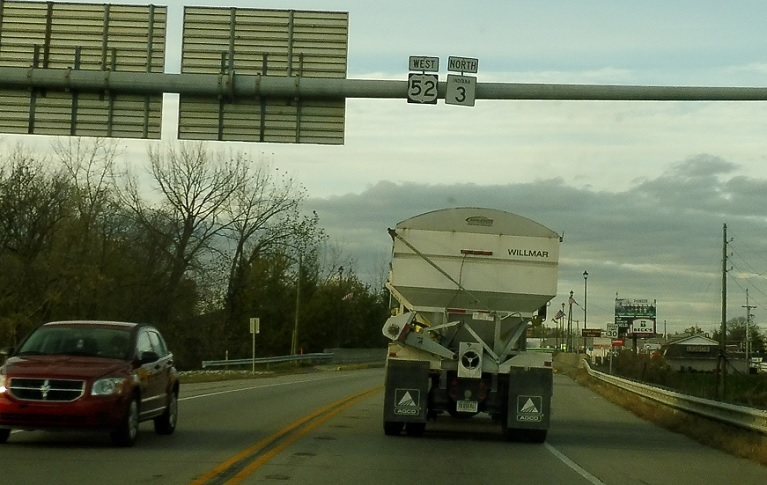 Turn left for US-52/Indiana 44 truck west. Turn right for Indiana 44 truck east. Stay straight for US-52 west/SR 3 north to Indiana 44 in both directions.